Traditional dental materials such as metals and ceramics have a number of disadvantages such as cost and the significant damage caused in grinding to make space for such reconstructions. 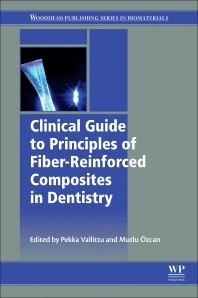 Fiber-reinforced composites (FRCs) are a novel group of dental materials characterized by fibrous fillers that are being increasingly used in place of traditional prosthodontic materials. They allow fabrication of minimally invasive, lightweight, durable and biocompatible restorations. This book will provide clinicians and students with theoretical and clinical guidelines to use the FRCs for dental applications. The book begins with an introduction to the fundamentals of FRCs in dentistry. Further chapters cover the treatment possibilities, fabrication and application procedures of FRCs, followed by information on care and maintenance. Pekka Vallittu has earned his degrees in Dental Technology in 1988, Doctor of Dental Surgery and Doctor of Philosophy in 1994; he received Adjunct Professorship in 1995, specializing in prosthodontics and stomatognathic physiology (European Prosthodontic Association Recognized Prosthodontist) in 2000. Presently, he is a Full Professor and Chair of Biomaterials Science in the Faculty of Medicine, University of Turku, Finland and works as the Director of Turku Clinical Biomaterials Centre (http:// www.biomaterials.utu.fi). He holds Honorary Professorship at the University of Hong Kong, Pokfulam and Visiting Professorship at the King Saud University in Riayadh, Saudi Arabia. His predominating research activity on fiber-reinforced composites started from his hobby of model aircarfts and has lasted over 30 years since the early 1980´s. The first clinical application of fiber reinforced composites was found in clinica dentistry and thereafter in combination with bioactive components in bone surgical applications as nonmetallic bioactive implants. He has more than 430 ISI Web of Science Index original publications and over 160 internationally granted patents. He has been awarded e.g. by the Distinguished Scientist Award in Prosthodontics and Implant Research by the Internationational Association of Dental Research (IADR) and Bensow-Äyräpää Prize. He is founder of Stick Tech Ltd and Skulle Implants Corporation. 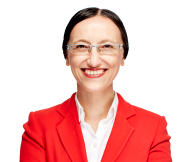 Mutlu Özcan has earned her Dentistry Licenciate in 1993 in Istanbul, Turkey, Dr. med. dent. degree in 1999 in Cologne, Germany and Doctorate in Medical Sciences (PhD) in 2003 in Groningen, The Netherlands. She received full professorship for Clinical Dental Biomaterials at the University of Groningen, The Netherlands in 2007. Since 2009, she is the Director of Dental Materials Division at the University of Zurich, Switzerland. She also holds Honorary Professorship positions at various universities some of which are São Paolo State University (Brazil), University of Madrid (Spain), University of Florida (USA), and University of Hong Kong (China). She has authored more than 400 ISI Web of Science indexed original scientific and clinical publications, is a well-sought lecturer, receiver of several international awards, and serves for the editorial boards of numerous scientific journals. She is European Prosthodontic Association (EPA)-recognized Specialist in Prosthodontics, Honorary Secretary of the EPA, Immediate Past-President of the International Association of Dental Research (IADR)/Dental Materials Group (DMG), Fellow of Academy of Dental Materials (FADM), Fellow of International College of Dentistry (FICD), and Fellow in Dental Surgery of the Royal College of Physicians and Surgeons of Glasgow, FDS RCPS (Glasgow). Her clinical expertise is on reconstructive dentistry and her scientific work focuses on translational research. She has 20 years of clinical experience with fiber-reinforced composites.